Once upon a time, speculative fiction — or sci fi, as it used to be called –was a genre dominated by men. Yes, there was the great Ursula K. Le Guin and later on, Octavia Butler joined the small but noteworthy sorority of women sci fi writers. Mainstream authors, like Marge Piercy, Margaret Atwood, and Doris Lessing, also wrote classics of the genre. But women are now becoming as celebrated as their male peers — even having their books snapped up with huge advances after bidding wars by publishers. That’s what happened to guest Karen Thompson Walker with her debut novel AGE OF MIRACLES (Random House, 2012) — it collected more than $1 million in advances. What’ was all the excitement about? Well, for one thing, the book is beautifully written. But perhaps The Age of Miracles garnered so much interest from publishers because it’s about something we all feel weighing on our minds, whether we admit it or not — the end of the world as we know it. The novel tells an apocalyptic allegory. A giant earthquake has slowed the rotation of the Earth — and the Slowing is progressive and inexorable. It threatens species extinction, the breakdown of society, the dying of much of the human race — the very gravitational pull that holds everything together. With unbearable poignancy, the story is told in the dispassionate voice of a woman looking back to her early adolescence, when the Slowing began. Julia is turning 12, with all the promise that entails — and the fragility of that promise in the face of global disaster. She falls in love, she witnesses the erosion of her parents’ marriage, and she tries to make sense of a world that no longer makes any sense at all. 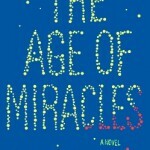 Prior to the publication of The Age of Miracles, Karen Thompson Walker worked in publishing for Simon and Schuster. 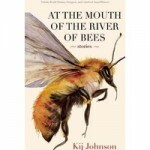 Kij Johnson’s first story short story collection, AT THE MOUTH OF THE RIVER OF BEES (Small Beer Press, 2012), is a fascinating blending of styles and blurring of genres. The 18 stories of the collection range from hard science fiction to fantasy to magic realism to fable. The stories feature strong female characters, often in social isolation but in close contact with nature, facing spiritual crisis’s, generational suffering and violence with dignity and triumph. They often turn on a single, shocking image or event and flow with a creative ease that draws the reader into completely new worlds. 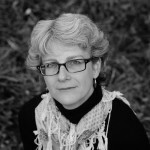 Johnson has multiple awards for her writing, including three consecutive Nebula Awards. 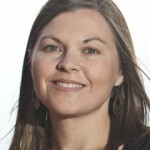 She teaches fiction writing at the University of Kansas. Writer’s Voice Drew Adamek spoke with Johnson about her new collection, the challenges facing women in science fiction and what new writers should do to break into the business.